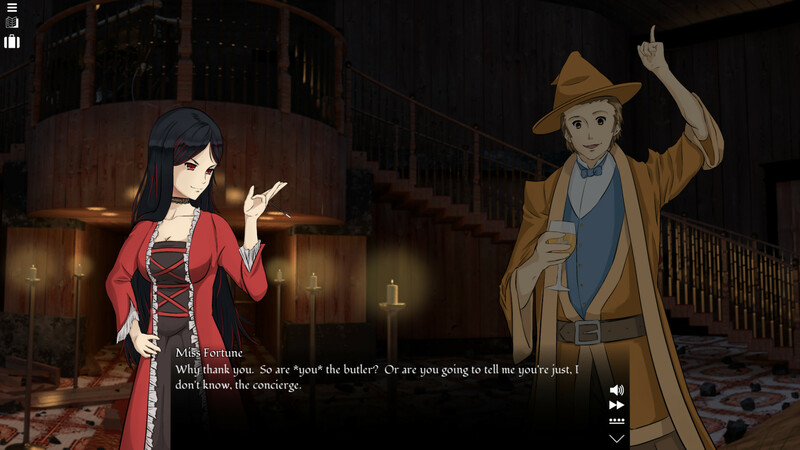 MMM is a visual novel adventure with an open-ended mystery that puts your deductive skills to the test. 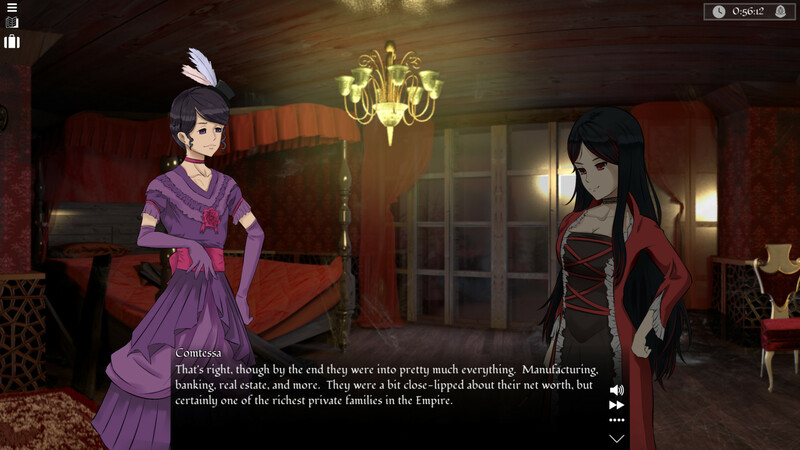 A murder occurs in a secluded manor, and if you can't find the killer in time, you just might take the blame for the crime yourself! 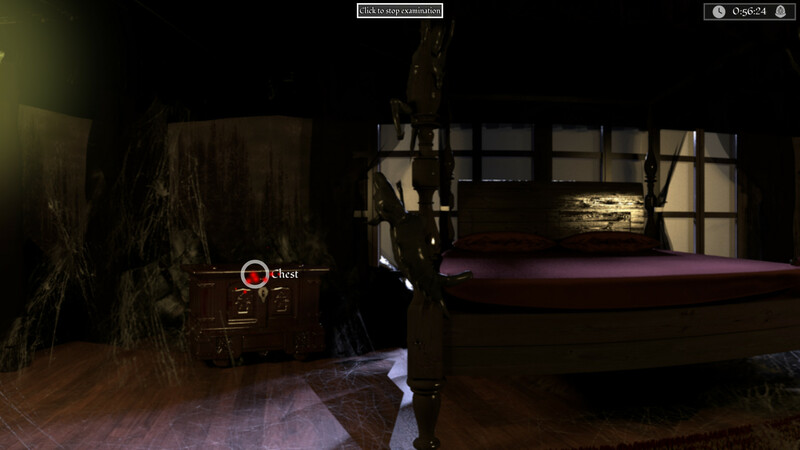 Gather information and search the house for clues as you form your own conclusions about the evening's mysterious events. 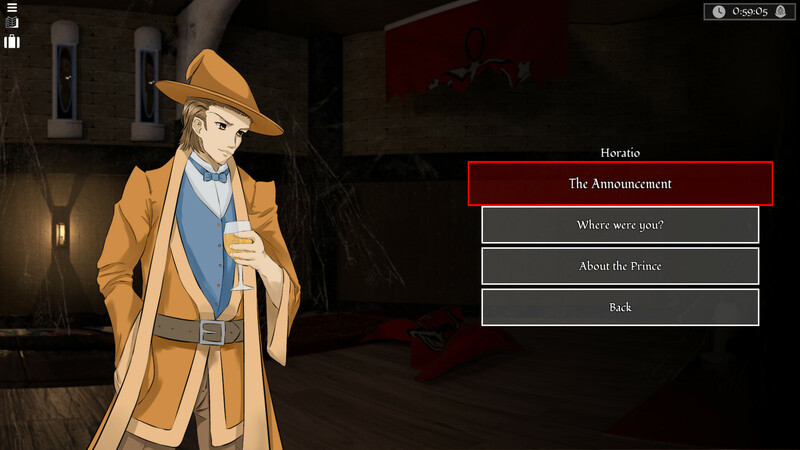 MMM is a love letter and tribute to classics like Phoenix Wright, and Agatha Christie's excellent mystery series Poirot. Over 2 years in the making, much care was taken in making a mystery game where you actually needed to really THINK, to solve the mystery. We believe we have delivered. 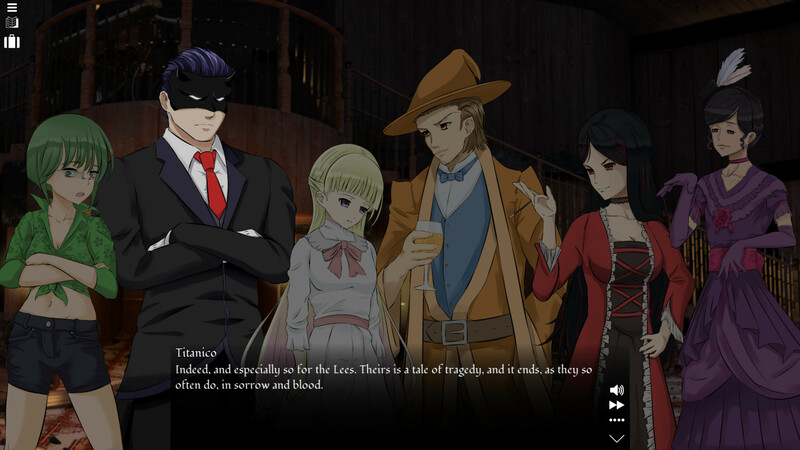 Multiple Endings: Finding the true killer is ideal, of course, but maybe building a plausible case against one of the other characters is good enough to get you off the hook! 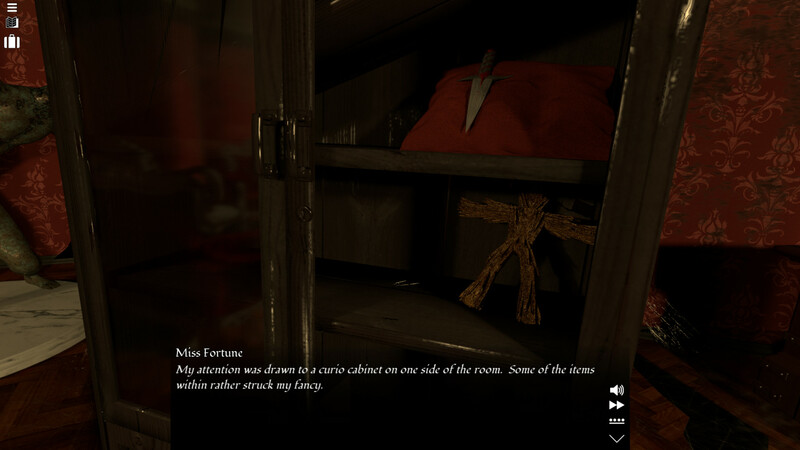 Unique and Compelling Characters: Play as Miss Fortune, a delightfully caustic anti-heroine who has already been widowed nine times. But this time, she didn't do it (really! ), and she'll have to solve the mystery herself to prove it! Immersive Story: Sharply written dialog full of choices ensures a thoroughly immersive narrative. 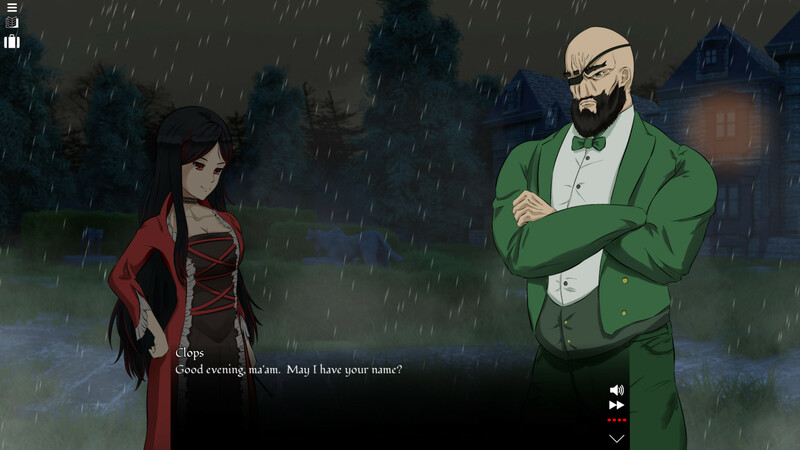 Voice-acting: Each character is fully voiced, with over 1700 voiced lines throughout the game! Beautiful Visuals: Detailed, searchable backgrounds and slick visual effects like rain, fog and variable lighting enhance the aesthetic experience. Time Runs Short: The incompetent police are on their way. Better solve the mystery before they arrive, lest they come to their own (wrong) conclusions. More information on Foolish Mortals, our logo & relevant media are available here.